Want it by Wednesday 24th April? Order within 3 days, 12 hours, 12 minutes and choose Royal Mail 24 Hour Delivery at checkout. 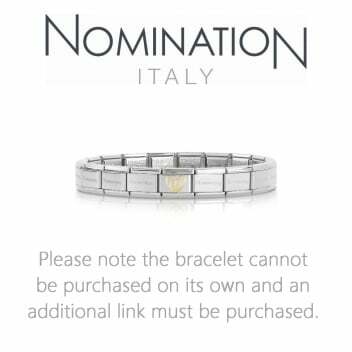 The Nomination Classic Link Bracelet is available in three different sizes and is made from stainless steel; the most perfect way to express yourself and to tell your story with a bracelet that is beautifully unique to you. Inject your own personality to these gorgeous bracelets with charms and links from the Composable Classic collection. Please note the bracelet cannot be purchased on its own and an additional link must be purchased.